The last episode of The Flash season 2 was quite a spectacle. 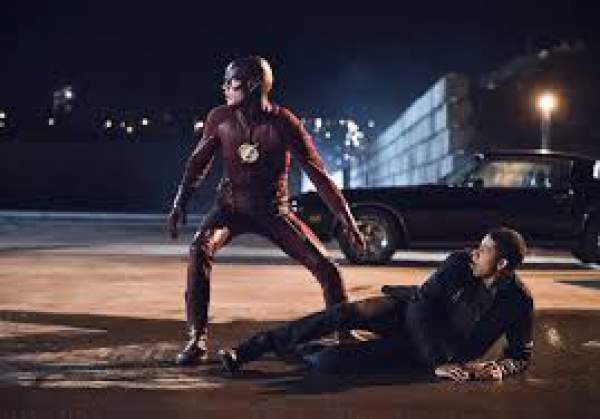 With Zoom getting in direct altercations with Team Flash and doppelgangers taking the center stage, the episode ended at quite an interesting point. So, they escape without rescuing him while Killer Frost distracted Zoom and Earth-1 Barry promising the unknown prisoner to rescue him later. This prisoner could be the link to deciphering Zoom’s real identity. We never get to see Killer Frost’s fate but we can expect it to not be good. Later, when all of Team Flash returns to Earth-1, Jay Garrick is killed and sucked into the breach by Zoom. This was quite expected as he was just strolling around the breach as it was closing. Moreover, I suspect him of being Zoom. But still, he was doing Jay Garrick’s job pretty well. He helped fend off Geomancer and Velocity-9 was introduced too. It helped Jay getting his regenerative powers back but he apparently died at the hands of Zoom. I think that this week, they are straying away from the track of Zoom to let the suspense simmer and let excitement build up among the audience. Episode 15 would be titled “King Shark”. We would see one of the villains from earlier episodes return to the screen. We would also have a peek at John Diggle and his wife, who arrive in Central City to warn Barry of the looming danger that King Shark poses. The episode carries a vibe from movies like “Jaws”. King Shark is coming back to Central City and would be eying to kill the Flash. We may expect to see some action scenes and maybe this could linked to the main track somehow. We’ll have to wait until next week.